Bishop Alan, left, with the young people from Connor and their leaders at Streetreach in Glenavy on Thursday morning. 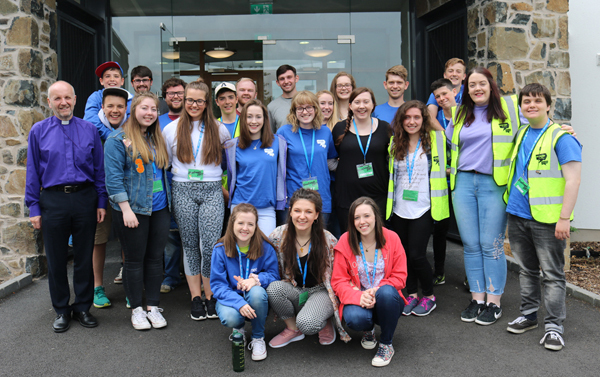 The Bishop of Connor, the Rt Rev Alan Abernethy, joined the young people from Connor Diocese and their partners from Youth in Christ, Missouri, USA, for worship this morning as day two of Streetreach got underway. Afternoon activities included a kids’ club, a litter pick in Crumlin Glen and a carwash. Visit our Facebook page for photographs of today’s activities.